The objective of the Media Ministry is to carry the Gospel of Jesus Christ to the world through the use of technology and media. 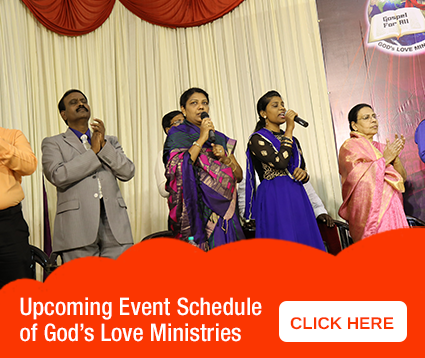 God’s Love Ministry first launched its TV program in the year. Our programs are telecasted through 20 channels. There are 6 satellite channels, like Angel TV, Tamilan channel, Sathiyam channel, Subhavaartha channel, Namibikai channel, and Salvation TV channel. Besides these our programs are telecasted in several other channels. We telecast our programs in different languages like, Tamil, English, Kanada , Telugu & Hindi . We reach out to millions every day through our Television programs in India and around the world. We receive many testimonies from viewers around the world of how God has blessed them through these programs. The expenses for the TV ministry have been always a great challenge. We are able to move forward through your prayer and support. Millions are blessed through your sponsoring of a program. We thank each and everyone who support this ministry .